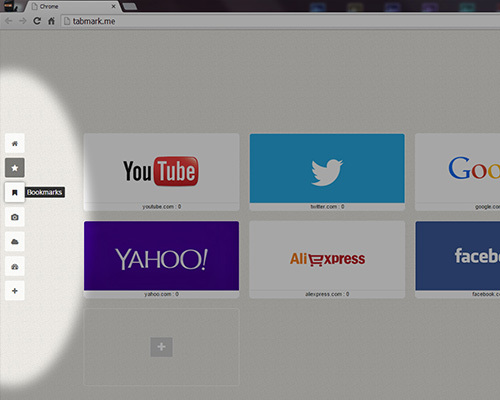 TabMark is a speed dial extension for Google Chrome. It's completely free and you are welcome to install it right now! 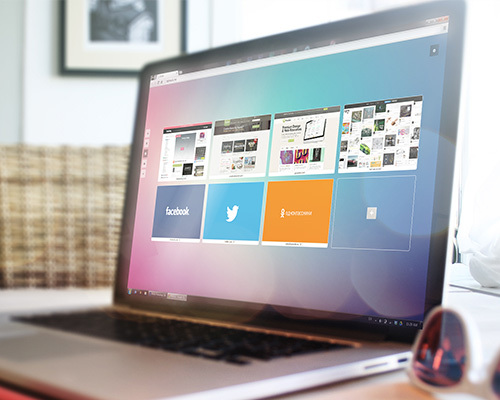 With over 100 predefined logos or screen shots for different websites. Also it is possible to change width and height of dials. 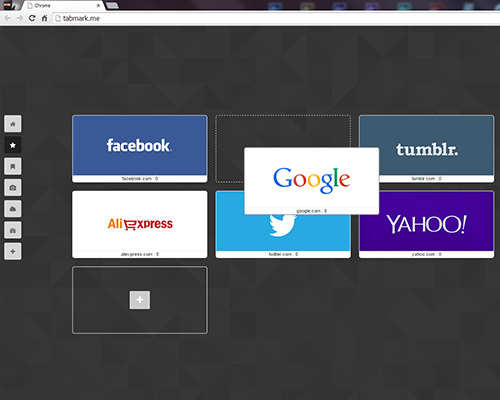 You can create any number of tabs with appropriate icons. Tabs include different number of dials. You can select from our rich library of patterns and wallpapers, or add your own. Just paste the url and hit ok! 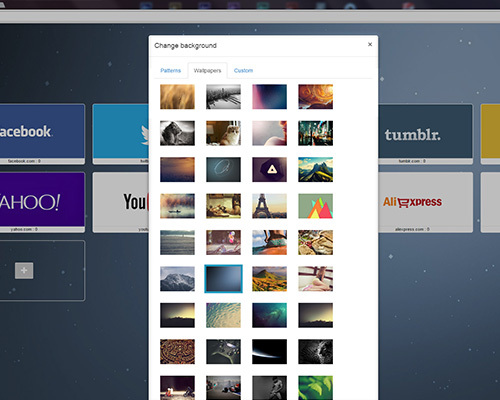 You can create new looks and themes in just few seconds. 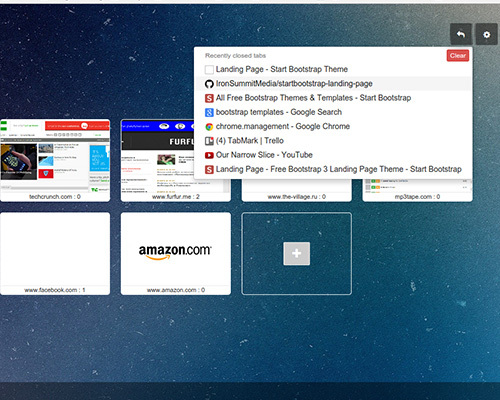 We’ve added drag&drop; feature to let you easily sort your tabs and dials. 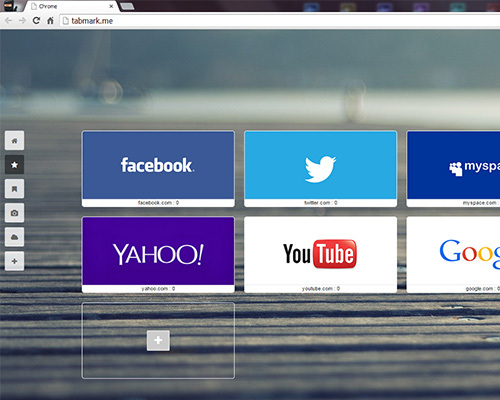 Enjoy Redesigned New Tab page for Chrome - Tabmark. Although TabMark is a new product, it’s very functional and easy to use. We’re working hard to add more features while keeping it as simple as possible.